Not all PC’s were created equal! With its level of popularity and 170 million monthly active users, there are going to be almost 170 million different PC and device configurations on which Skype is installed. Supporting a software application on this many configurations across 27 languages can be a challenge, especially when working across many versions of Windows and Mac OS/X as well as the various hardware peripherals (headsets, webcams, phones, etc.) that can be incorporated into these configurations. Over the past eight years the Skype Forum has been a hotbed for users to air issues and get assistance from either other Skype users or Skype personnel. About a month ago Skype announced its intention to replace the Forum by launching a beta version of a new Skype Community Support Network with improved infrastructure and navigation for reporting issues and obtaining responses. 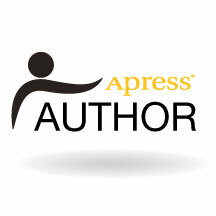 Offering support in eight languages, it is still supported by many of those, including Skype enthusiasts, often designated as Moderator or Super User, who have provided much of the support in the past. Since its launch as a beta over a month ago, it has once again evolved into an very active forum for reporting and resolving issues with using Skype. 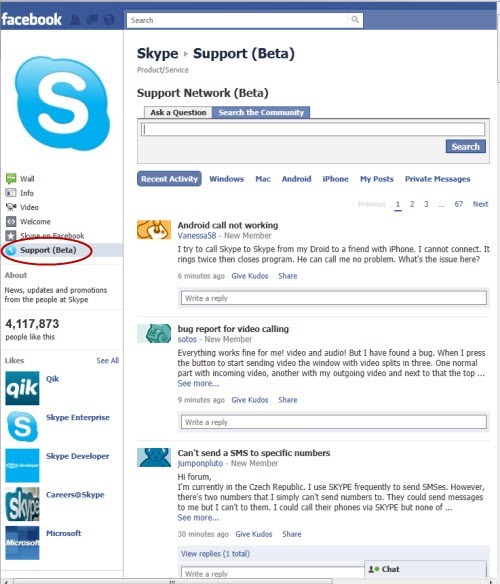 We think there is a big appetite for information about Skype, and Skype Support Network was created in direct response to that. Having this information available within our Support Network and extended to various social media channels, such as Facebook, is part of our efforts to engage customers and help them access information they need. So, feel free to ask us a question or search our community for answers right from within Facebook or visit us at the Skype Support Network. Bottom Line: one more resource for discussing any issues arising from using Skype. While Skype employees are tracking and responding, one must also recognize and appreciate those many Skype enthusiasts who voluntarily supply their support to these forums. Without them these forums would not be nearly as effective.